HENDERSONVILLE, Tenn. (AP) — Republican Sen. Bob Corker said Tuesday that he doesn't believe he has lost support in Tennessee over his criticism of President Donald Trump's response to a deadly white nationalist protest. Earlier this month, Corker questioned whether Trump had the "stability" and "competence" to become a successful president after the president said both sides were to blame for the violence in Charlottesville, Virginia. Trump took to Twitter this week to say: "Strange statement by Bob Corker considering that he is constantly asking me whether or not he should run again in '18." Trump added, "Tennessee not happy!" 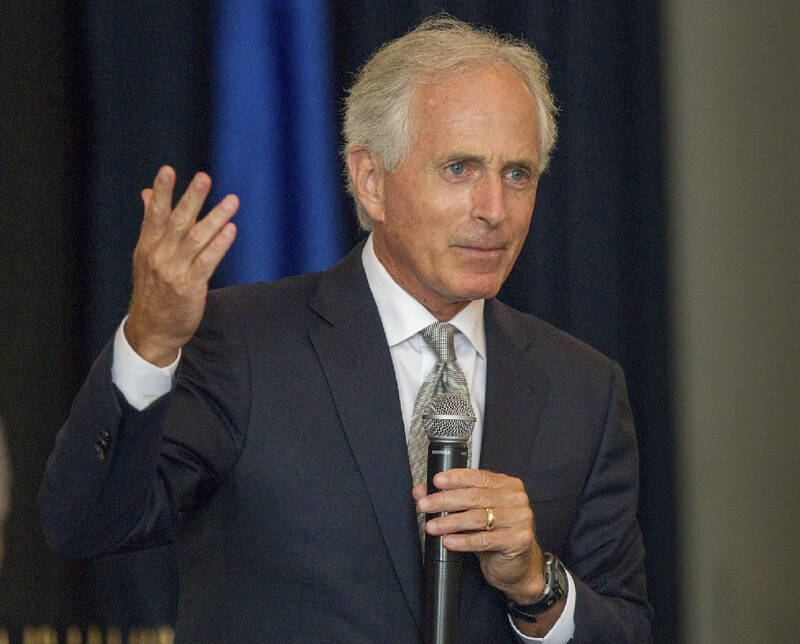 Corker, who has yet to confirm that he will run for a third term next year, told reporters after a speech in Hendersonville that he hasn't felt a lot of blowback from the president's tweet. "I feel very supported in this state," Corker said. The former Chattanooga mayor added that he doesn't plan to change his "direct and frank" approach to issues. "I'm going to continue to be the independent person I am as long as I'm in public service," he said. "I think that's what Tennesseans have come to know. "Even if they don't always agree with my positions or sometimes how I express myself, I think they know that I always do so in order, first to try to bring out the best in a situation or to try to solve a problem," he said. "People have come to know that I'm very sincere in all that I do." Corker said he has continued to have conversations with the high-level officials in the White House since his comments, including two discussions with Vice President Mike Pence last week. "I think the president has very much appreciated my involvement with the administration throughout," he said. "I know that he respects me and my comments were meant to have an effect on some of the things being said and done, and I know they were heard."